Brilliant ride quality. Sharper to drive than most SUVs. Beautiful cabin design and plenty of interior space. Diesels are quiet. Best ride quality is on optional adaptive dampers. High starting price and expensive options. Shallow boot. Lots of reported problems with steering at low speeds. Who’d have guessed that the highly polarising BMW X6 would start a niche. 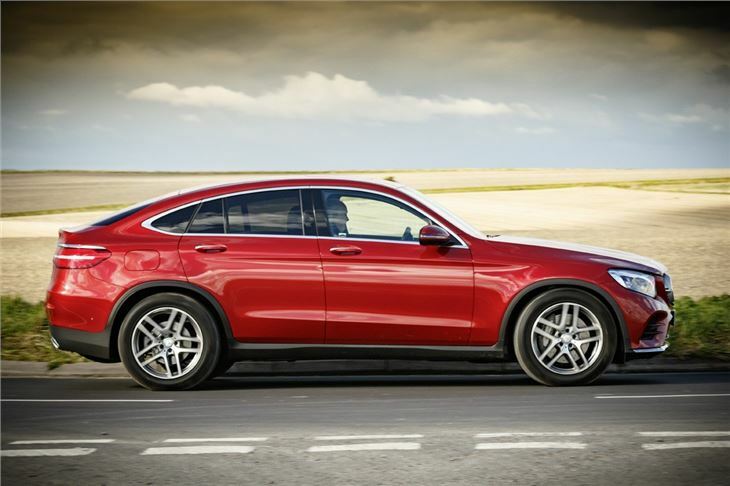 Yet here we are with the Mercedes-Benz GLC Coupe. It's a car cut from the same cloth - take an SUV, make it less practical, charge more for it. 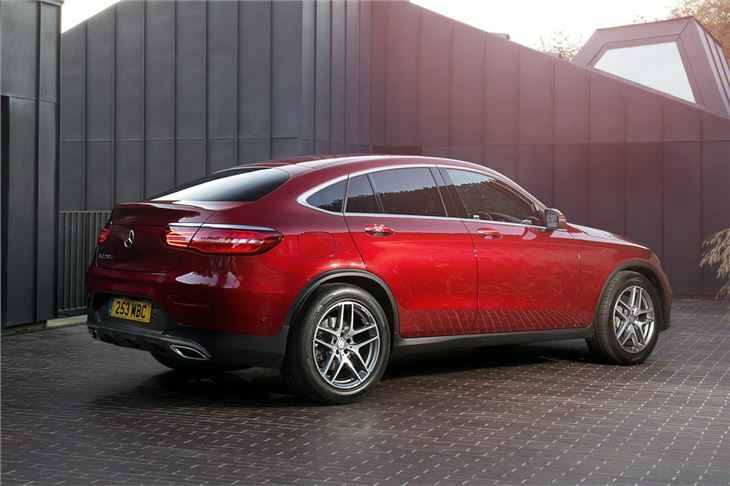 But the GLC Coupe is not a direct rival to the X6, rather it’s pitched squarely against the smaller BMW X4 and, as the name suggests, based loosely on the Mercedes-Benz C-Class. While it takes up far more space on the road than the C-Class does, its interior offers roughly the same spaciousness and is virtually identical. 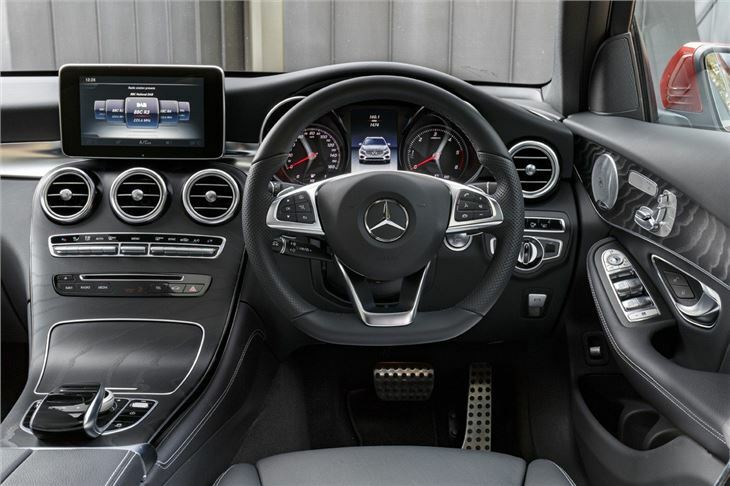 They’re both positives because it means the GLC Coupe has a lovely dashboard, an innate sense of luxuriousness and space enough for four big lads or ladettes. The worry is that in order to justify the coupe part of the name, Mercedes-Benz would stiffen the suspension and tighten the steering significantly in an attempt to make things 'sporty'. 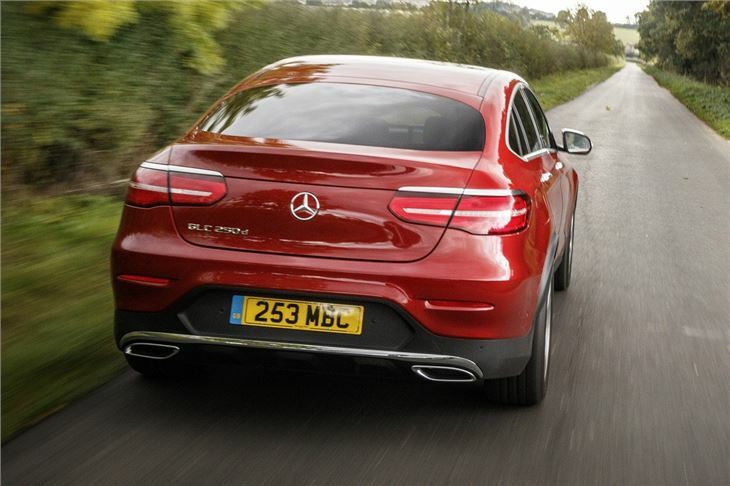 Thankfully, despite doing both those things, the GLC Coupe plays the lumbering SUV game very well indeed. 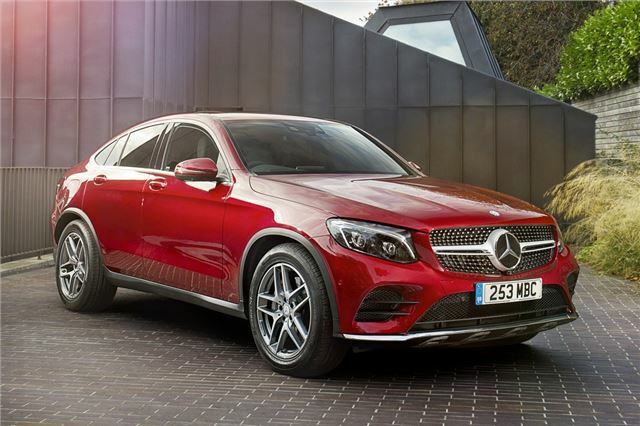 In fact, the best thing about the GLC Coupe is its blend of assured handling and comforting ride quality. Although, as usual, you have to invest a fiver short of £1500 for air suspension to get the fullest experience. Steel springs set to 'sporty' tightness (there’s that word again) are standard. Also as usual in this SUV sort of coupe crossover market, is the fact that you pay more for a GLC Coupe than you do an equivalent GLC – £3k more. While practicality does suffer, it doesn't disastrously so – the boot is still a decent size and comes with a high, load friendly lip. Rear legroom is good and there’s more rear headroom than you might expect given the slanted roof. Plus you still get the standard SUV advantage of a ‘get out of my way’ driving position. While the engine choice seems small, it covers all the bases. The mainstay is the four-cylinder, 2.1-litre diesel, developing either 171PS or 204PS and called 220d and 250d respectively. Then there’s the 350d, powered by a V6 diesel with 258PS. And, of course, a V8-powered Mercedes-AMG GLC 43 with 326PS. All cars come with a nine-speed automatic and four-wheel drive as standard. 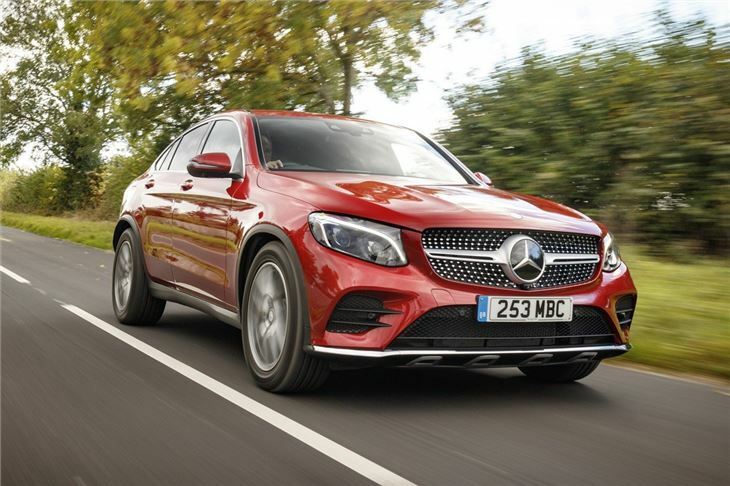 Whether you should buy one is really a question of whether you can look yourself in the eye after spending so much more on considerably less car than the GLC, and mostly for superficial reasons. 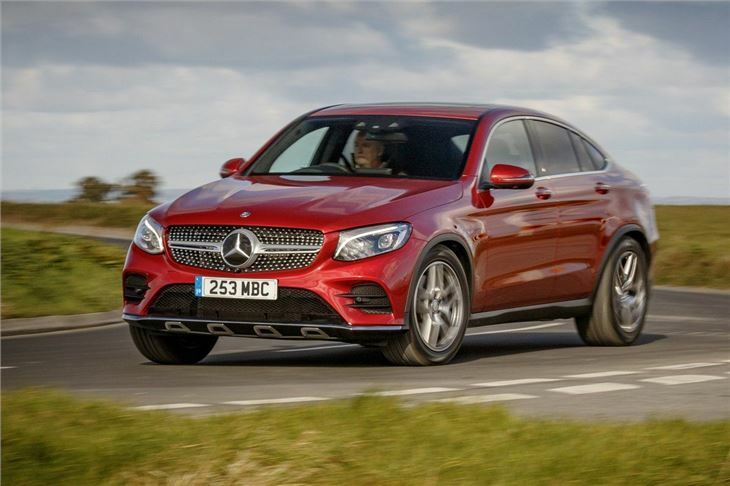 But if you're thinking about it, here are a few emollient facts to make you feel better: the Coupe is better looking than the GLC, is better-to-drive, is more luxurious than the BMW X4, and remains a very practical and safe giant hatchback in its own right. And relax. Beautiful interior, high quality finish, appalling drive nonchalant customer service.